It was this feast and theatrical event that I’ve looked forward attending even before boarding the plane to Hawaii. 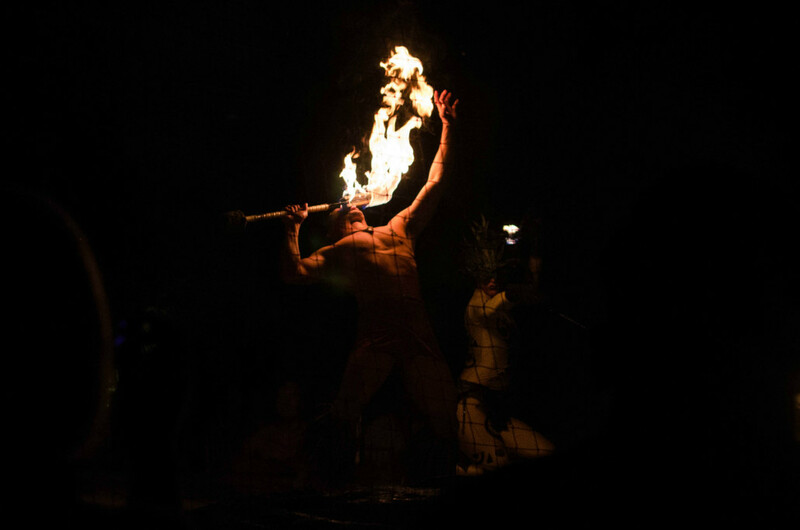 I was looking forward to seeing the mesmerizing fire dance and experiencing some of the Hawaiian culture first hand. It told the story of a Polynesian father and daughter whom reunited after a sea of separation. It was also here that I was brought up on stage to learn the hula (no photos, heh! ), and first tasted some of the most traditional Hawaiian fare, which included poi, lomi salmon, and the kalua pig. Despite a huge downpour at arrival. We kicked off the festivities with (you’ve guessed it) mai tai’s and quickly forgot we were soaked minutes before. From then on, we immersed ourselves into the party. Here are some of my favorite photos from the performances. Interlude: The Kalua Pig brought out from the oven outside.